It took the final lottery pick in this year's draft to provide the most crucial selection. We've witnessed several signature moments ​in this NBA Draft, but ​Michael Porter Jr. sliding down the board has undoubtedly been the biggest story. Now, everyone can stop wondering where he'll fall, as the Denver Nuggets have selected the Missouri standout with the No. 14 overall pick. 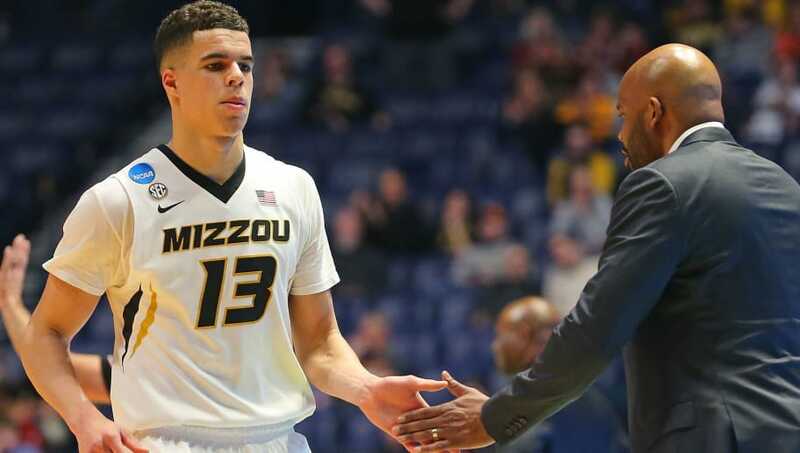 Sources: The Denver Nuggets have selected Michael Porter Jr. with the No. 14 pick in the NBA draft. Strongly considered Zhaire Smith here. Obviously the major concern is Porter's back injury, especially considering that he's already dealing with issues at a young age. However, there might not be another prospect in this class more talented than him. Not only can he stretch the floor from downtown, but the former McDonalds All-American can also attack the rim with ease. If all the stars align, the Nuggets could end up with the biggest steal in the entire draft. There's talent in Denver with Nikola Jokic and Jamal Murray, yet adding Porter Jr. is the piece that can take the Mile High City to new heights.